Is there an easy way to remove the thorns from pine cones so children will not hurt themselves while making crafts? I am not sure what you're talking about 'thorns' on a pinecone. I've never seen thorns on a pinecone but if you mean the tips of each layer/leaf then just trim them off with sharp scissors. Pinecones definitely can have thorns! Picked this one today! 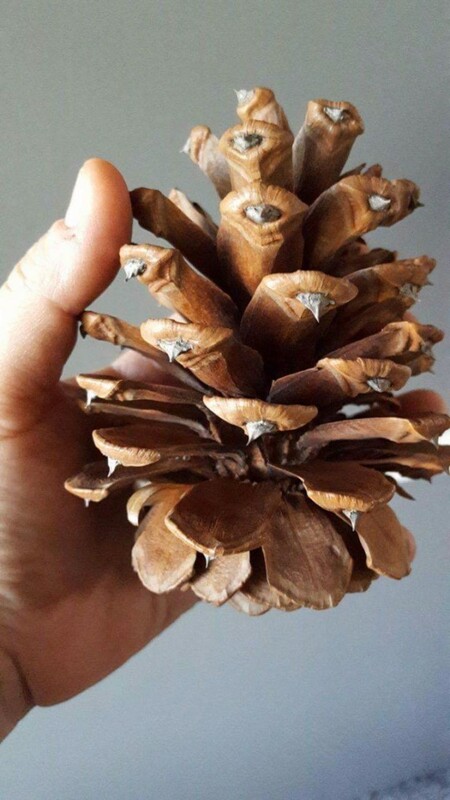 I guess there are many types of pine or conifer cones, So not sure if your cones are tightly held together or loose and fall apart, but could you scrape them on rough cement to knock the spikes off? You could pick up a few garden gloves for the kids or file/trim down the sharp edges.